Welcome to another edition of The AFA Podcast. It's a bit of a lighter show this week, as Rachael and Chris catch up on the latest news and catch up with what we've been watching! The news section (0:02) kicks off with some discussion of the latest trailers, including Netflix's Big Mouth and Neo Yokio and Pixar's Coco. 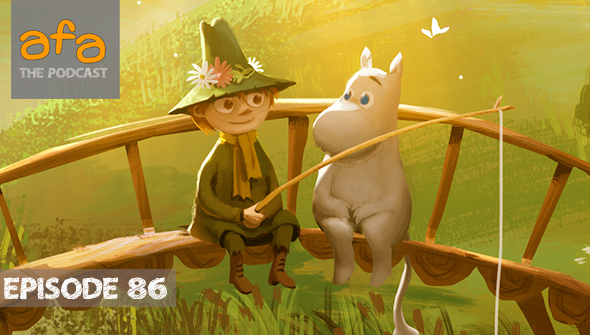 Then it's on to the casting news of the new seriesMoominvalley, and some classic anime getting re-released in the UK. Then it's time for this week's Watercooler, (0:42) featuring titles including Zootopia, Child Of Light, Hiveswap and My Hero Academia. Want to send us a message, question or suggestion for a future show? Email us at podcast[@]animationforadults.com, leave a comment or get in touch via social media. Want to help us make more episodes? Please consider supporting us on Patreon and get episodes before anyone else, plus bonus episodes and more!